That’s a line from the 1998 movie “Ronin”, where the CIA agent character played by Robert De Niro explained the reasoning for his apprehension over a bungled situation which didn’t look right from its inception. This simple analysis lends itself perfectly to the accusation about skeptic climate scientists being paid industry money to lie and misinform. If there’s no doubt the accusation is irrefutable, it would be consistently repeated by all. Dig into any part of the accusation, however, and its inconsistencies pile up to the point where there’s no doubt something is seriously wrong with everything and everyone connected to the accusation. Consider the inconsistency I describe below. 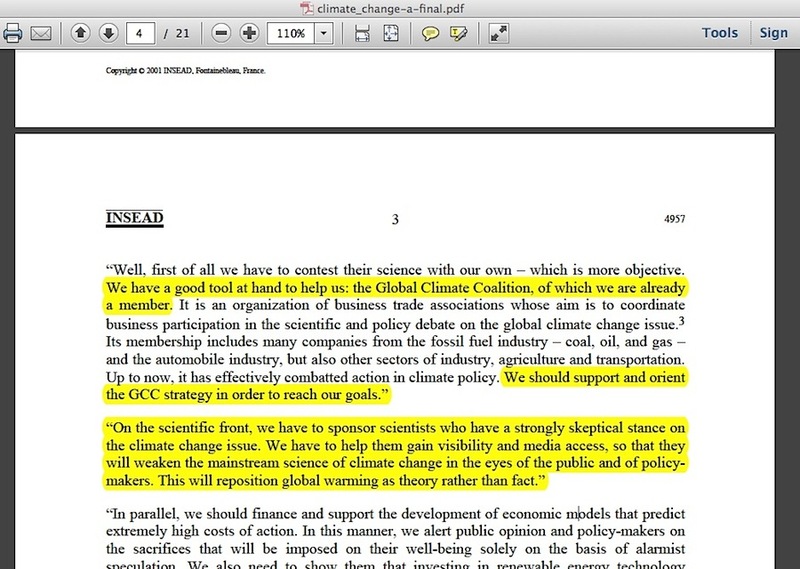 If you are an enviro-activist with no intellectual curiosity about the matter, and one of your prominent leaders tells you a leaked industry document’s strategy statement to “reposition global warming as theory rather than fact” proves skeptic climate scientists were paid industry money to lie and misinform, then that’s all you need to know on the topic. Case closed. But if you are smart enough to comprehend what a weak position that is, you’ll understand the importance finding out where those documents came from so that you can convincingly defend the accusation. 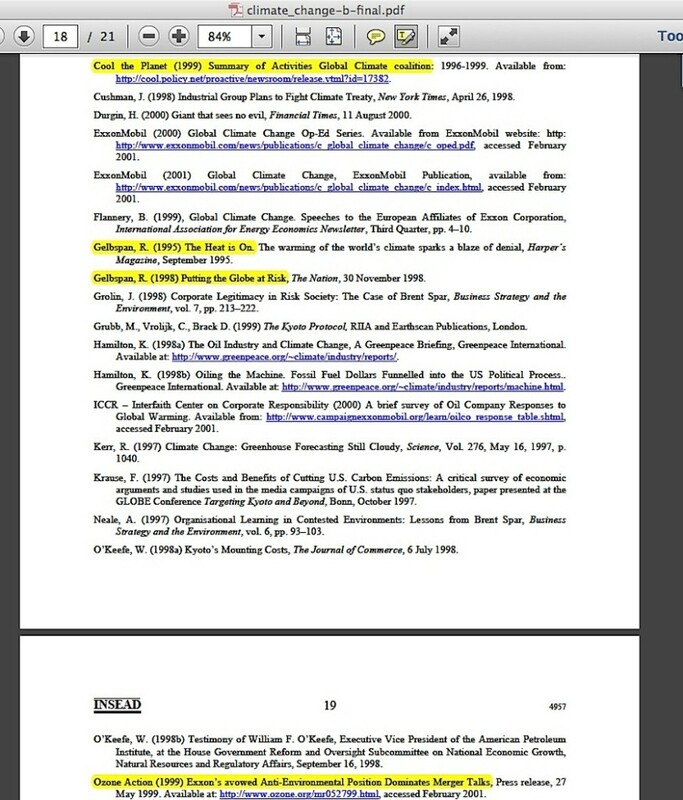 What happens if you search for the phrase’s origin, and discover one source says it came from the Western Fuels Association, another says it came from the Global Climate Coalition and a third says it came from the American Petroleum Institute, three entirely separate organizations? Rummage through enough narratives about the “reposition global warming” phrase and – dare I mention it? – a consensus of enviro-activists say it was directly associated with the 1991 Information Council for the Environment (ICE) public relations campaign, whose primary administrator was the Western Fuels Association. Hardly a line that lends itself certainty about where the “reposition global warming” phrase came from, in light of so many others saying it came from Western Fuels. 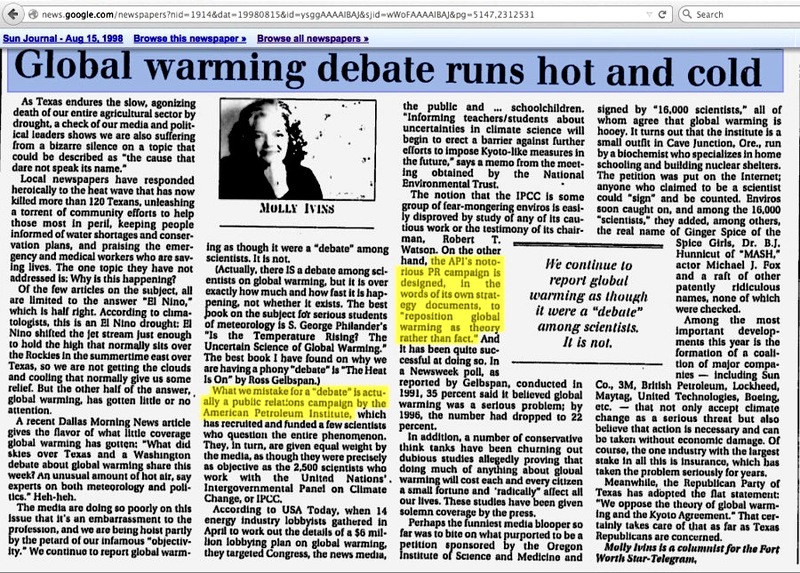 What we mistake for a “debate” is actually a public relations campaign by the American Petroleum Institute, which has recruited and funded a few scientists who question the entire phenomenon. Entertaining how Gelbspan’s name is seen before and after the above quotes within Ivins’ article. We have a good tool at hand to help us: the Global Climate Coalition, of which we are already a member. … On the scientific front, we have to sponsor scientists who have a strongly skeptical stance on the climate change issue. We have to help them gain visibility and media access, so that they will weaken the mainstream science of climate change in the eyes of the public and of policy- makers. 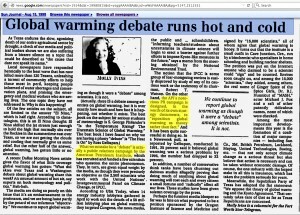 This will reposition global warming as theory rather than fact. Entertaining how Part B of the exercise cites a dire statement by Gelbspan before even introducing the second half of the exercise, and then has him among its references on page 18, along with the old Ozone Action organization, and Ozone Action’s spin-off web site Cool.Policy.net, which was decidedly anti-GCC when it was operating back in 2000. 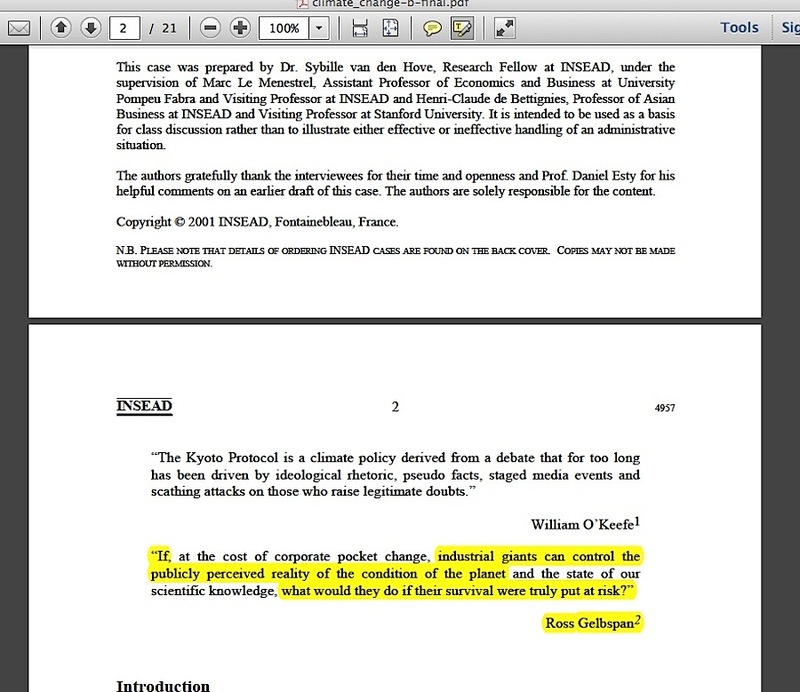 Remember, Ozone Action clearly stated that they and Gelbspan ‘obtained’ the leaked documents with the “reposition global warming” phrase. We are left to wonder how the INSEAD exercise planner connected that phrase to the GCC. 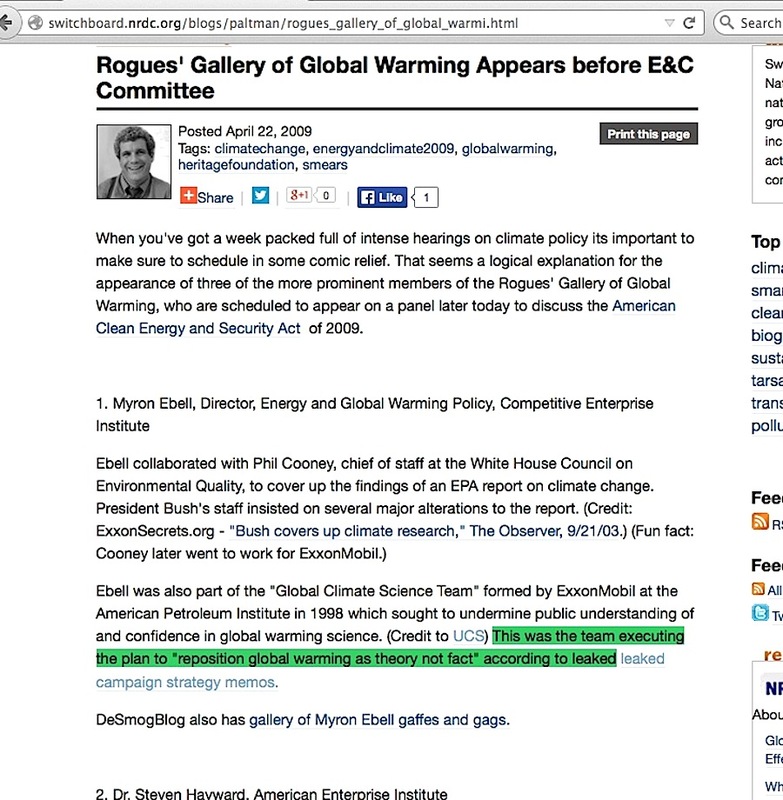 …the ‘Global Climate Science Team’ formed by ExxonMobil at the American Petroleum Institute in 1998 which sought to undermine public understanding of and confidence in global warming science…This was the team executing the plan to ‘reposition global warming as theory not fact’ according to leaked campaign strategy memos. 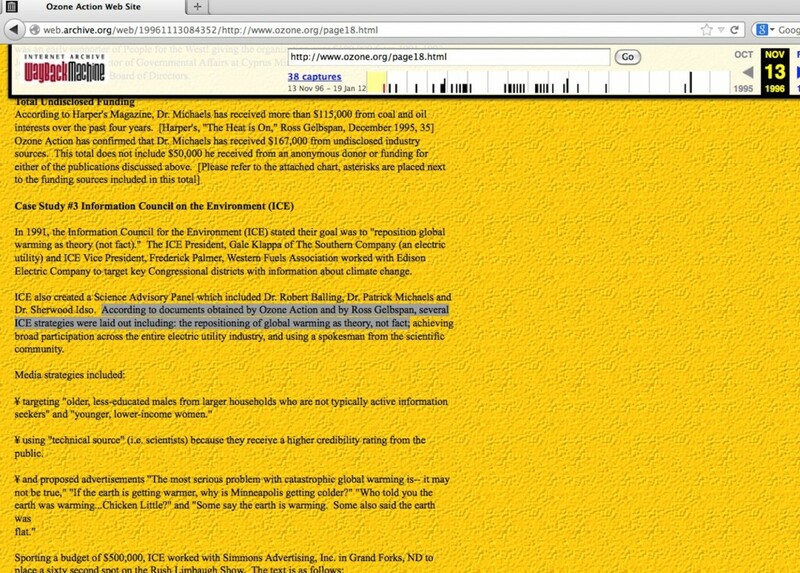 Altman’s second sentence links to a currently non-functioning Greenpeace PDF file (which works at this archive site) of the API’s “Global Climate Science Communications Action Plan”, which contains no form of the “reposition global warming” phrase. Entertaining how the NRDC played a role of some sort with one of the global warming nuisance lawsuits, the Connecticut v American Electric Power, while another of those global warming nuisance lawsuits, Comer v. Murphy Oil had wording within its documents stating “The API [American Petroleum Institute] and other Oil Company Defendants have engaged in concerted financial activity far in excess of $1 million in furtherance of a tortious civil conspiracy to “reposition global warming as theory rather than fact” – details I described in my previous blog post. Pile all of this together, and you don’t have a seamless accusation narrative where the only blemishes are minor differences of dates or misspelled names. You have major doubt whether prominent figures repeating the accusation have the first clue where it came from… and thus no doubt the accusation is anything close to being ironclad. This entry was posted in American Petroleum Institute, Global Climate Coalition, Information Council for the Environment, Irreconcilable differences, Western Fuels Association by Russell Cook. Bookmark the permalink.